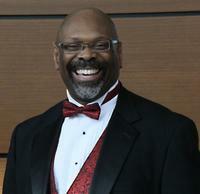 Keith Hampton, affectionately known as “Doc”, is the Founder and Artistic Director of the Chicago Community Chorus (CCC). In addition, Dr. Hampton is an organ performer, conductor, composer, educator, church musician, adjudicator, and workshop clinician. He is the Vocal and Instrumental Instructor at the Chicago International Charter School, Bucktown Campus and the president of Dr. KT Productions, Inc., Chicago, Illinois. Keith is the Director of Music/Organist at St. Thomas Episcopal Church and Assistant Director of Music at Trinity United Church of Christ, both in Chicago, Illinois.Classically trained as an organist and conductor, he has served as Music Director/organist-choir director of Hillcrest Baptist Church in Country Club Hills, Illinois; Bryn Mawr Community Church, Chicago, Illinois; Wesley United Methodist Church, Aurora, Illinois; Congregational Church of Park Manor and Park Manor Christian Church, both in Chicago. A specialist in the field of Gospel Music, the North Central American Choral Directors Association in 2010 selected Dr. Keith Hampton as one of the top 25 Contemporary Composers "whose composition, Praise His Holy Name, should be standard repertoire for choirs today and for the next 25 years." Dr. Hampton has guest conducted the, ACDA Eastern Division High School Honors Choir, Alabama All State Junior High School Honors Chorus, Baltimore All County High School, Georgia All State Collegiate Chorus, Ithaca College Gospel Festival, Oklahoma All State Junior High School Honors Choir, Rhode Island All State Chorus, Virginia All State Honors Choir, Wisconsin All State Middle Level Chorus and District Choruses in Illinois, Pennsylvania, Virginia and Wisconsin. Keith Hampton earned a Bachelor of Music Education Degree from Westminster Choir College, a Master of Arts Degree from Marywood University, and a Doctor of Music Degree in Church Music from Northwestern University. Dr. Hampton has been awarded the Service Playing, Choir Master, and Associate certificates from the American Guild of Organists. Dr. Hampton was twice chosen as one of 14 conductors to participate in the Oregon Bach Festival Conducting Master Classes. The festival is held at the University of Oregon under the direction of Helmuth Rilling and Thomas Somerville. He also was chosen to conduct in an A Cappella Music workshop sponsored by Chorus America. In the summer of 2013, Dr. Hampton participated in the Choral Conducting Symposium held at the University of Michigan under the direction of Jerry Blackstone, Julie Skadsem and Eugene Rogers. At Dr. KT Productions, Inc., Keith provides music transcriptions of Black Gospel Music with the use of Finale by Make Music. He produced the CD, Celebrate, in 2009, and published the book, Praise His Holy Name … And Other Songs in the Gospel Style, in 2011. In 2012, Dr. Hampton produced two organ CDs, Organ Masterworks, Volume I and French Organ Music, Volume II. As a published composer, Dr. Hampton’s arrangements of Spirituals and Gospel Songs are available through Augsburg Fortress Press, Choristers Guild, earthsongs Publications, Hal Leonard Corporation, Hinshaw Music, and Dr. KT Productions, Inc.